One of the highlights of my recent trip to Stockholm was a visit to the Moderna Museet. In addition to a very fine lunch with a fabulous view in the restaurant, I very much enjoyed the Explosion! exhibition, and learnt a good deal about Swedish pre-WWII art, but the visit was also notable for a number of Russian links. As we approached the entrance, we came across the Lenin Monumen by Björn Lövin, which commemorates Lenin’s arrival in Sweden on 13 April 1917 on his way back to Russia. X marks the spot under Lenin’s foot when the picture was taken. For more details on the event and the photograph, see Iconic Photos. Inside the museum, an excellent room on Russian art focused mainly on Constructivism, including a good set of Soviet posters, some of the Rodchenko/Popova works one would expect. 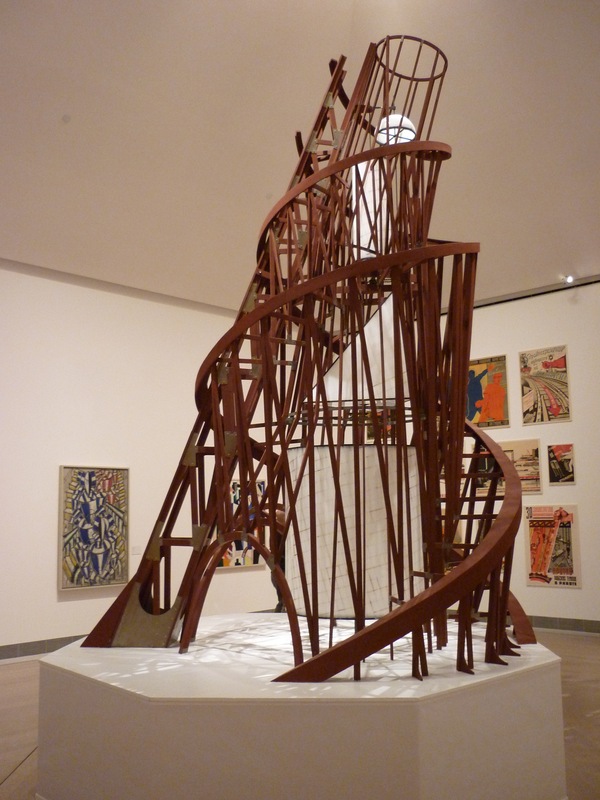 Somewhat less expected was the reconstruction of Tatlin’s Monument to the Third International. 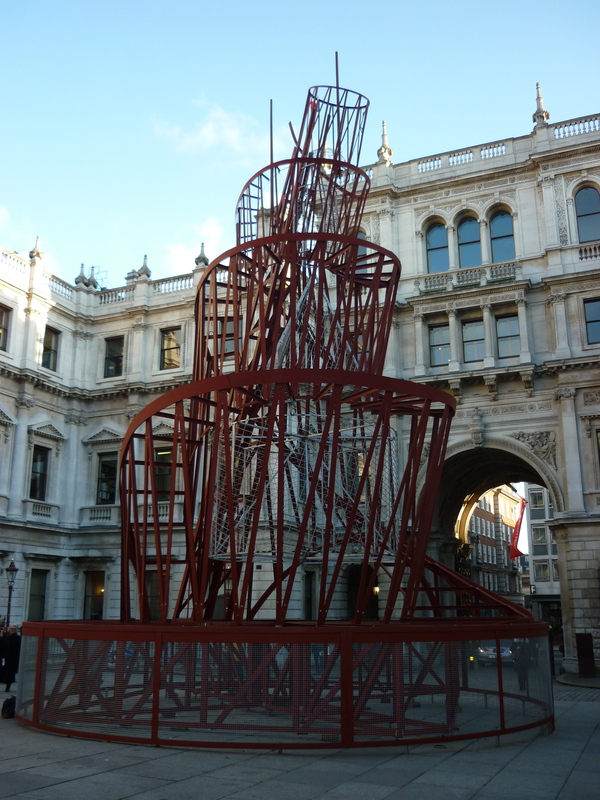 I saw the recreation of the Tower at the Royal Academy for the Building the Revolution exhibition last year, but the effect this time was different. In London, partly because it was outside, and partly because the context was an architectural exhibition, I viewed it very much as a building (and a pretty shocking one at that, when I looked at the sketches of how it would have looked in the Petersburg landscape – seriously, the Okhta Centre developers missed a trick, they should have just compared the Gazprom tower with Tatlin’s tower, and everybody would have been so relieved there would have been no fuss at all). 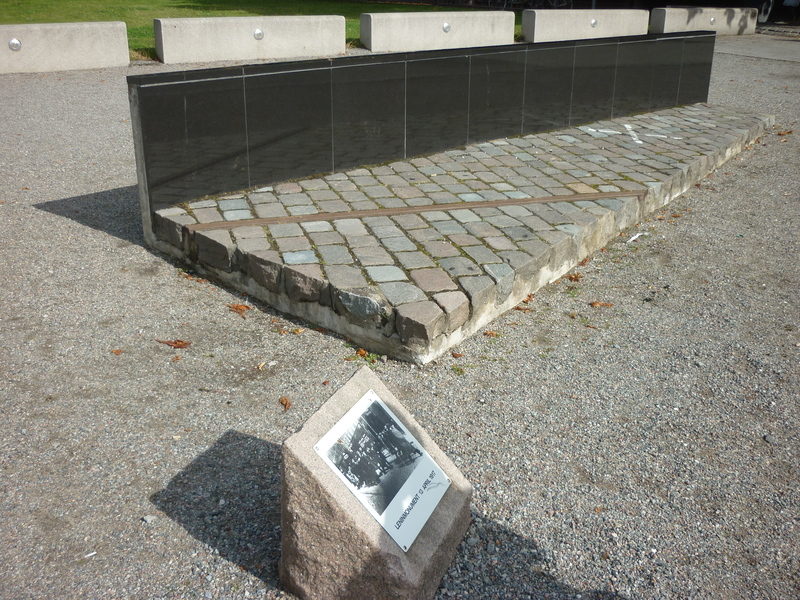 In Stockholm, I saw it more as a sculpture, comparable to Rodchenko’s constructions that seek to define space. The other real treat at the Moderna was the film room adjoining the Russian section, where extended extracts of Dziga Vertov’s Man with a Movie Camera (1929) and Yakov Protazanov’s Aelita: Queen of Mars (1924) were being shown – the sets and costumes of the latter perfectly complementing the Constructivist work being shown next door. There is a Tatlin Tower replica in Bookmarks bookshop in Bloomsbury Street. To my delight, arouse my father’s work, “the Lenin monument” still interest. And it was interesting for me to read about your visit to the Museum of Modern Art in Stockholm. Dynasty”… This is stupid, however it was true… Now we have all worst capitalistic things and processes and no social security at all… The only way out of capitalism was that shown by Lenin!